← Tipsy pots in my garden.. 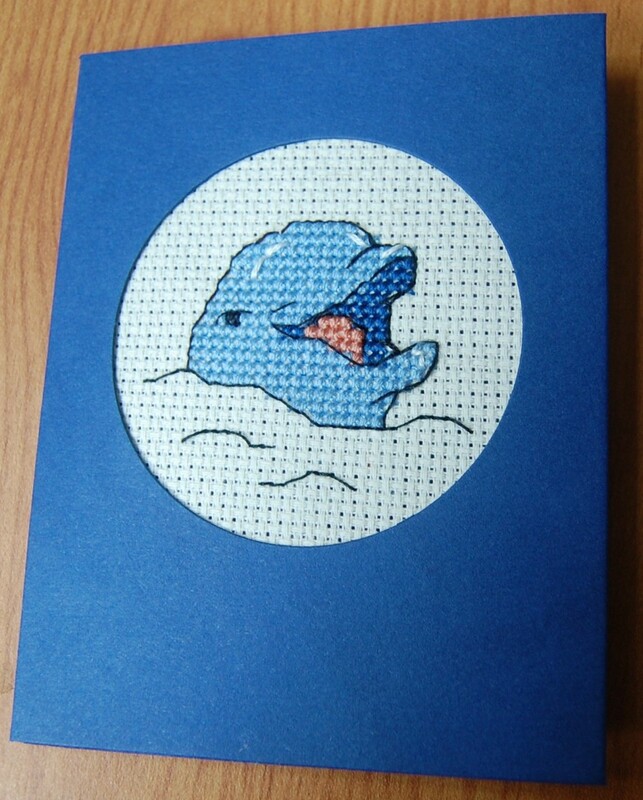 It was rainy the other day, and I did a bit of cross stitching. I love those little easy projects, and I found cross stitching so relaxing.. 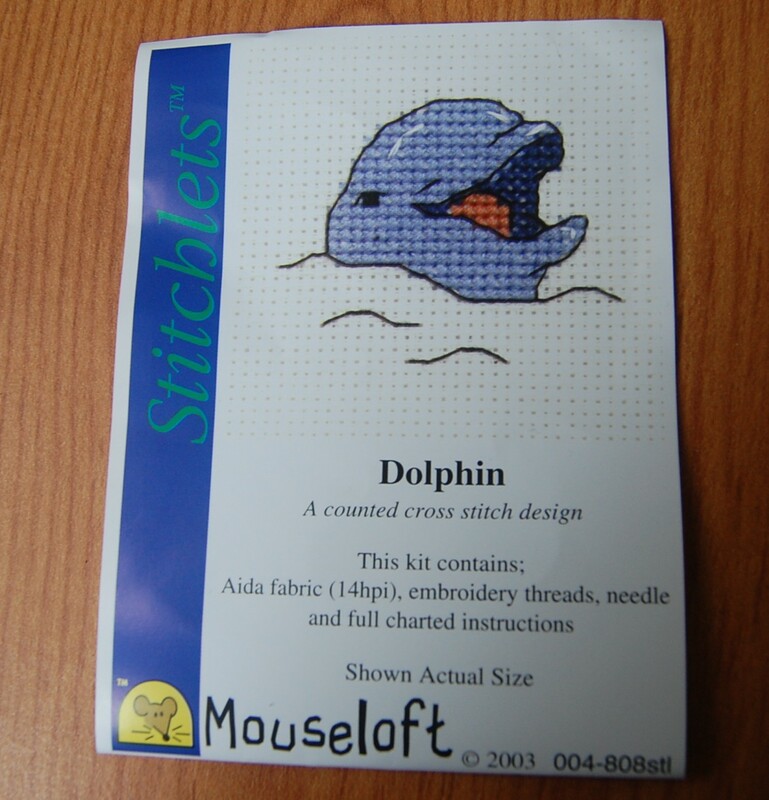 I bought this little kit at Creative Stitches & Hobbycrafts show in London back in April. They had loads of different cute designs. And this kit comes also with a fold card and an envelope. There were more that enough threads to complete the chart. Lovely and inexpensive kit! 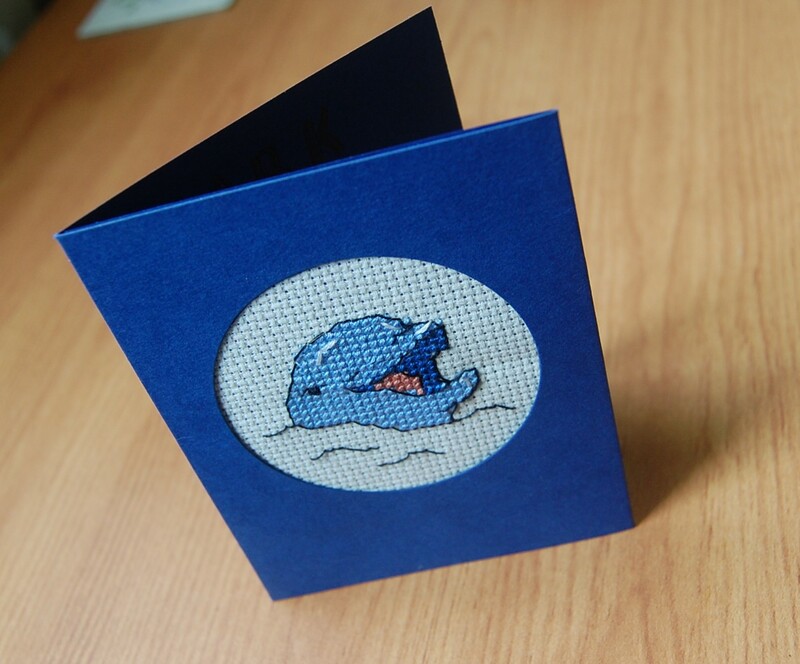 I made a birthday card for somebody who loves dolphins. Thanks for looking and have a nice day!